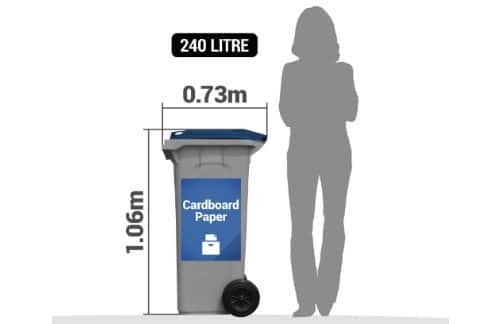 Large metal bin – with or without wheels as required. 3000 litre / 3.0 cubic metres capacity. 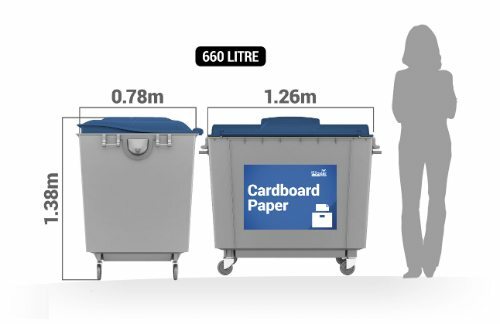 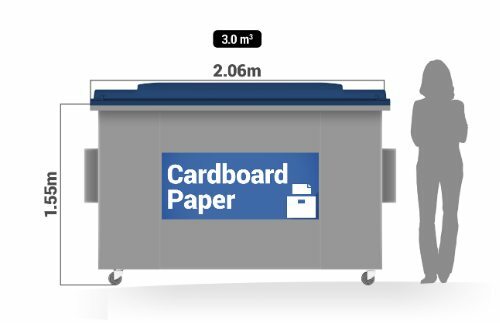 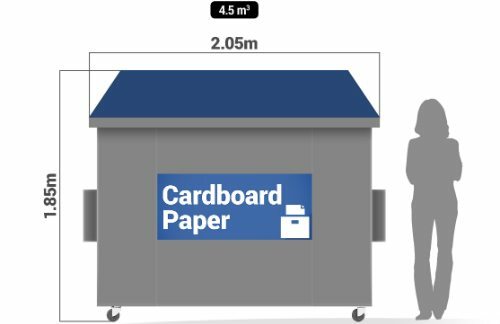 Collection and disposal of 3.0m paper and cardboard bin.